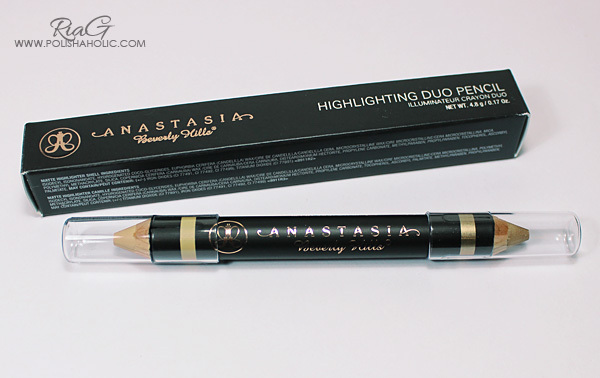 Anastasia Beverly Hills = LOVE! I have recently discovered Anastasia Beverly Hills brow products and I’m in love. Of course I knew the brand was out there but I never tried their products until now. I have quite thin and sparse eyebrows and they don’t match when it comes to shape. For the longest time now I have just used a brow pencil and accepted the fact that my brows are what they are. Now Anastasia Beverly Hills has opened my eyes to a whole new world and I have actually found some products that work perfectly for me. 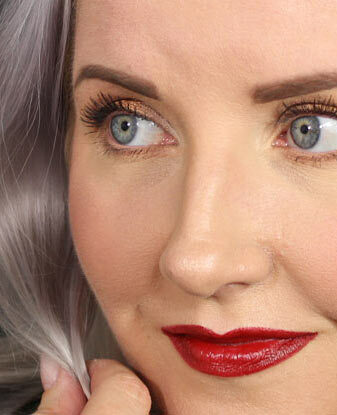 I saw a ton of makeup photos with perfect looking brows. I saw hashtags like #anastasiabeverlyhills and #anastasiadipbrow. Then I started watching video tutorials on how these ladies do their brows and to my surprise some of them had eye brows similar to mine. They worked their magic with the right products and all of the sudden their brows looked perfect. So I figured I had to get me some of these products I saw them using. I wondered in to BeautyBay.com and did some shopping. 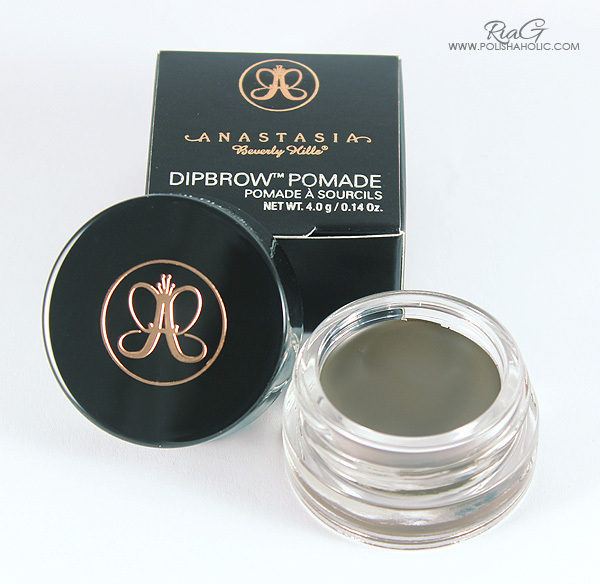 I started with Anastasia Beverly Hills Dipbrow Pomade in medium brown. I love this packaging! It’s beautiful to look at and it has a feeling of quality to it. This comes in a small glass jar and that 4 grams will take you a long way. I’m also considering getting this in taupe too. Dipbrow is waterproof, creamy product that is very easy to use as long as you remember that less is more when it comes to this. I find it easiest to apply this using an angled synthetic brush. 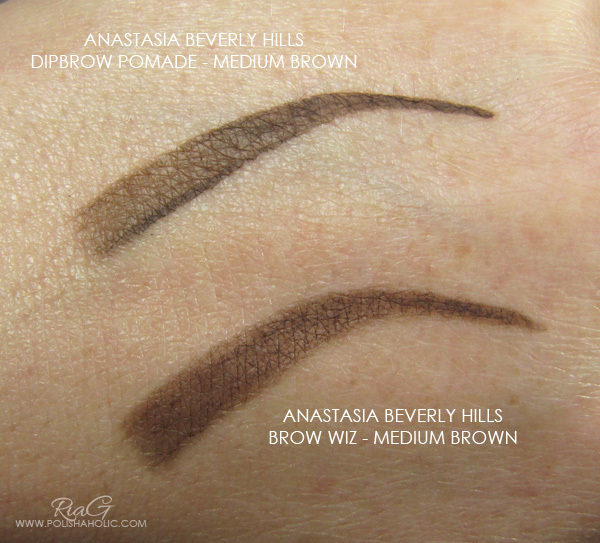 This is highly pigmented and with a little practice it’s easy to control how dark or light your brows will look like. Dipbrow stays on my brows very well all day long and is still easy to remove with Philosophy Purity 3 in 1 Cleanser I love to use. So after getting a taste of what Dipbrow could do for me I just had to go in deeper. 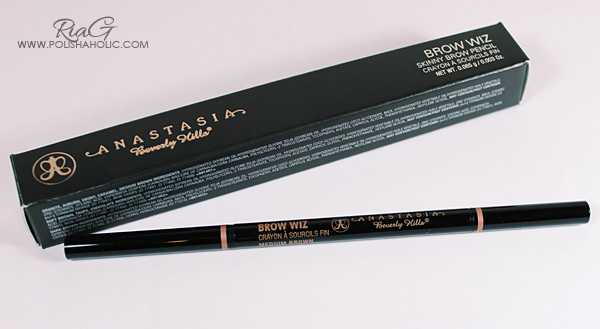 Next I got Anastasia Brow Wiz in medium brown and a Highlighting Duo Pencil Matte Shell & Lace Shimmer. I’m still figuring out how to best use these but by far they are also working great. Now I just need to perfect my skills when it comes to using these new lovelies. 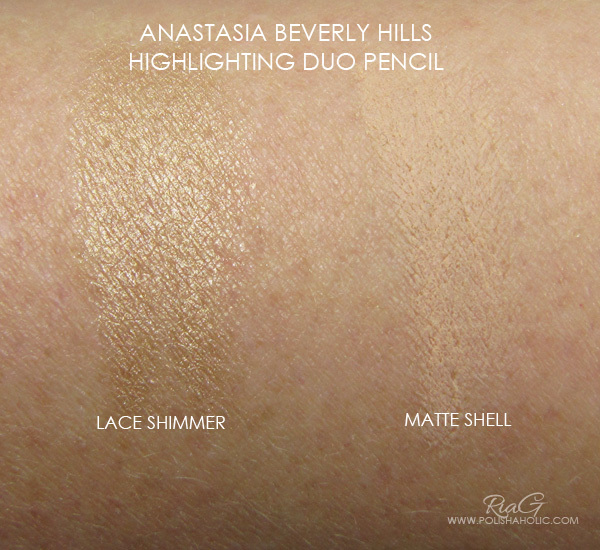 On the Highlighting Duo Pencil swatch I applied both colors generously. 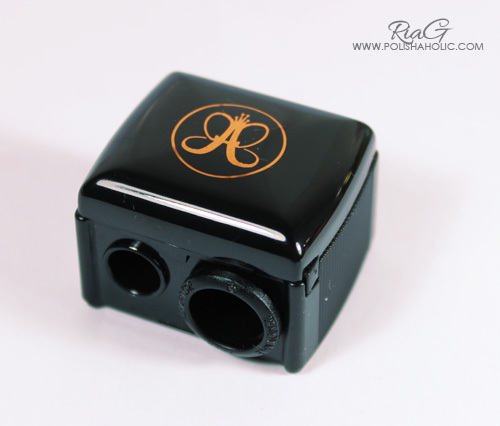 And oh yes, there was one more thing I just had to get cos who doesn’t need a very pretty makeup pencil sharpener ;) This is a 3 in 1 sharpener and the right side works for medium size pencils with the insert in place and when you remove it you can also use this for larger makeup pencils. Now I’m going to practice doing my brows and I’ll be back with another post and more detailed reviews of each product. ***All products were purchased by me.